Lumpini park in downtown Bangkok provides a welcome respite from the high rise buildings and traffic that surround it. 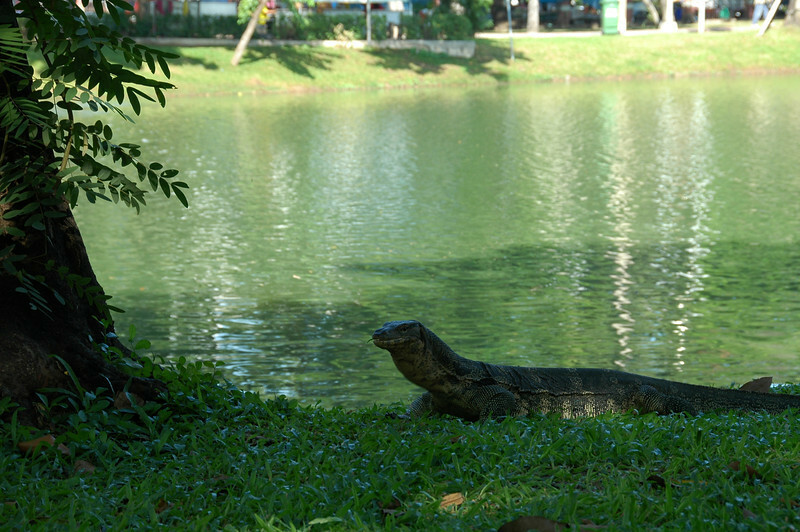 Another reason to visit - the large monitor lizards that make the lake in the park their own. They aren't dangerous and provide endless entertainment to lizard-loving tourists. Read Bangkok's 15-course street meal.